The Fournier family, who owned Château Canon since 1919, sold the estate to perfume and couture house Chanel in 1996. John Kolasa, the winemaker at Château Rauzan-Ségla, is was the director here until his retirement in 2015. 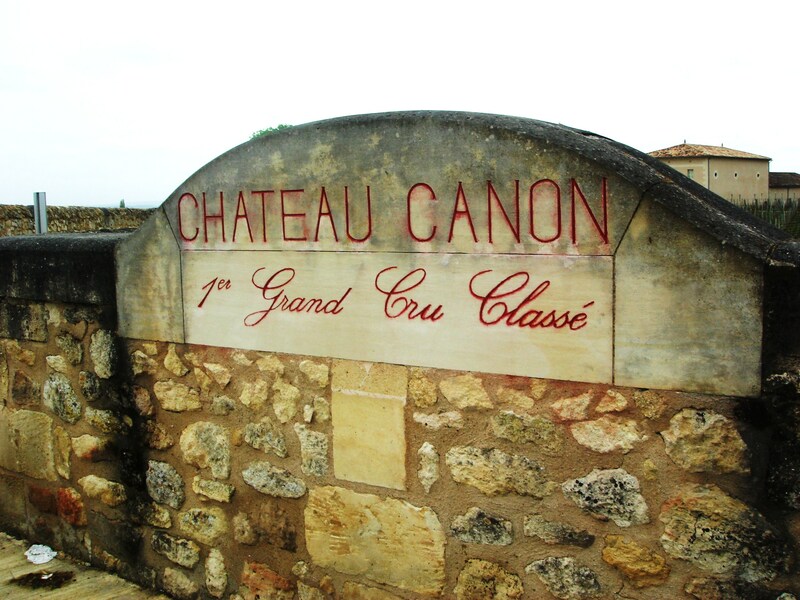 Top class wines at Château Canon, very fine and pure, with great balance which allows the wines to age beautifully. Beautiful wines in 2009, 2010 and 2015. Vineyard/Terroir: 29 hectares in production on St Emilion’s clay/limestone plateau and sandy plots, planted with 65% Merlot and 35% Cabernet Franc. Chateau classified Premier Grand Cru Classe group ‘B’. Winemaking/Elévage: Traditional winemaking followed by ageing for 18-20 months in barrel with between 50-70% new oak depending on the vintage. 2010 Dense and dark looking; little chalky note at first; then more lifted on aeration with red fruits and spices; some resin; layered; palate fine and tightly packed with fruit; mocha and red fruit tones; little dry and tannic on the finish. Needs some time. Weighty [15 degrees]. Drink 2018-2030. 93+ MW Institute Nov ’14 [Earlier note] Deep and dense; some chalk, red fruits and some depth; ripe and with lots of extract; deep; big but pure; some grip and texture and extract; not overly tannic, but ripe tannin not too pushed. Promising effort, pretty structured overall but plenty of fruit here and a pure style; not over-played. 92+ UGC Oct ’12 [Earlier] Deep and saturated, tight to rim; rich and ripe on nose, shows real concentration; unctuousness; relatively simple by comparison with previous [Trottevielle] but very pure; real purity in fact; quite a lot of puppy fat here; real ripeness; lacks some of the complexity of the last but lots of fruit and density; feels alcoholic; some length, bit hot. 91-93/100 Tasted April 6 Groupement de Premiers Grands Crus Classes de Saint-Emilion. 2009 Deep colour and tight to the rim; inky and intense; stones and wet-rocks; ripe and rich with lots of saturation but remains clean and pure. Very long and classical. Lots of material tightly coiled and needs time. Drink 2019-2035 93+ MW Institute Nov ’13 [Earlier note] Mid red; quite thick looking; creamy, mineral nose; fine; chew and density on the palate; minerality again; dense; crushed rocks; ripeness too, figs, but still sinewy and dense; held in cheque; muscular certainly but no trace of jam here. Serious and [deliberately] not flamboyant, nevertheless this is a very fine effort. 93-94/100 UGC Oct ’11 [Earlier] Dense to rim; very intense and layered nose; pent up but with real intensity; concentrated, serious and not showy. Palate similar; intense, serious with good concentration and intensity; tannic and structure here. Will fill out. Serious and quite long haul here. [Later] Attractive creamy note; palate fine; structured and very well done. 92-94+/100 Primeurs April ’10. 2005 Deep at centre; warm red at edge; tobacco; vanilla; spices; glossy; warm black fruits; sweet fruit on entry; Golden Virginia notes; chocolate; spices; black fruit tones again; blackcurrants; olive notes; nice chew and density; [this has just started its drinking window]; excellent length. Has a decade of further improvement ahead of it. Wonderful stuff already! [80% Merlot, 20% Cabernet Franc, 60% new oak]. Drink 2015-2025. 96+ Tasted April, 2015 at Canon.